Learning and Leadership: Questions: what are they good for? Questions: what are they good for? A recent experience has caused me to revisit the notion of questions. This lead to many questions, of course. Is asking questions good or bad? Should questioning be encouraged or discouraged? When people ask if there are any questions, do they really want them? If you believe in the value of questions are there things you can do to encourage questions? Are there ways to discourage questions? Is there an art to asking questions? What does questioning have to do with learning and the way the brain works? 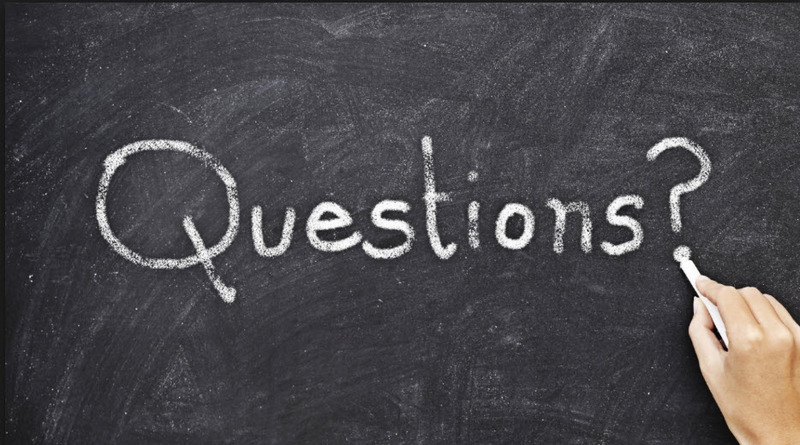 What apps might you use to facilitate the asking of questions? In other words, can we make asking questions easier? Using questions is the basis of an active learning approach called inquiry-based learning. There is actually a form of active learning that starts by posing questions, problems or scenarios. It's called Inquiry-based Learning. As per Wikipedia, this is done instead of simply presenting established facts or portraying a smooth path to knowledge. Interesting resource from EdTechReview, "Check out How these Tools Embrace Inquiry-based Learning. -- They tackle real-world questions, issues and controversies. -- Helps in developing questioning, research and communication skills. -- They eventually learn to solve problems or create solutions. -- They know what collaborating within and beyond the classroom is. -- Developing deep understanding of content knowledge is routine for them. -- Participating in the public creation and improvement of ideas and knowledge is another hobby they inherit. Grant Wiggins says "essential questions signal that we what inquiry, we want in depth not superficial answers. That there isn't one way to look at it. It's worth asking and reasking. Because that's how indepth learning and genuine understanding occurs. " video Essential Questions"
On page 87 indicate that essential questions leads to further questions. "In a very real sense, then, the question is the teacher. Until and unless the essential question is seen as the "teacher" a culture of inquiry has not yet been established." "Socrates in Plato's "Dialogues" reminds us, to persist in asking the questions when others don't is the key to escaping the bounds of unthinking habit, belief and dogma. Once we have learned to question - really question - then we are immunized from falling victim to people who want us not to think too hard about what they say, be it politicians, advertisers, or bullying associates. The Use of Questions is part of a management approach to problem solving and exploring cause and effect relationships called 5 Whys. A series of questions are asked to help uncover the multiple root causes of what may seem at first to be a simple solution. The focus is on looking for ways to improve the process not for blaming people. Below is a link to a video produced by the Harvard Business review, February 7, 2012. "The 5 Whys." Interesting NPR piece "People Like People Who Ask Questions." A research study conducted at Harvard is studying the effect of asking questions in everyday conversations (Karen Huang, Franseca Gino and others) So far they have found that asking more questions increased how much the person liked them. Demonstrating that you are curious about another person was seen as positive. Want To Know What Your Brain Does When It Hears A Question?